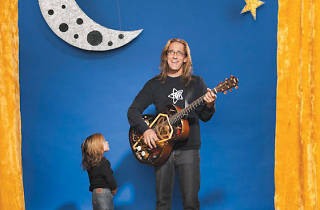 The story’s a legend by now: Bad Examples frontman Ralph Covert agreed to teach Wiggleworms at Old Town School of Folk Music in the mid-1990s, so long as he could bring his young daughter and play the songs he wanted. He fast became known as the teacher who sang “the edgy ‘Rockin’ Robin’ ” and started coming up with original material to chase away boredom. Flash forward to 2012: Ralph is a household name among families with preschoolers everywhere , not to mention a Grammy nominee who sells out Ravinia shows. 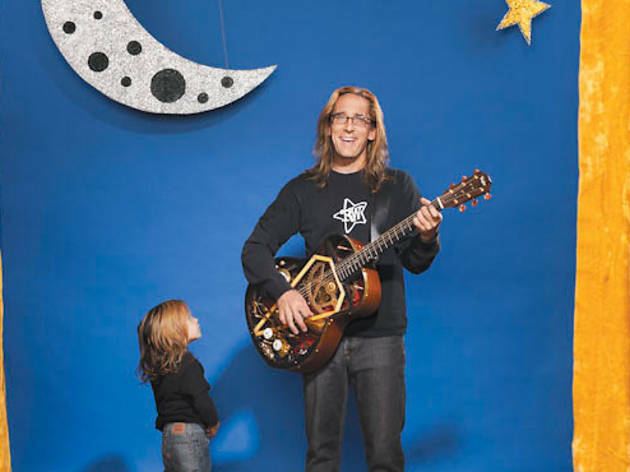 Thanks to songs with a rock sensibility and catchy lyrics (“The Coffee Song” is the anthem of countless weary parents), Covert and company are the go-to band for families with discerning musical taste. Download Ralph’s World music and find a tour schedule at ralphsworld.com.